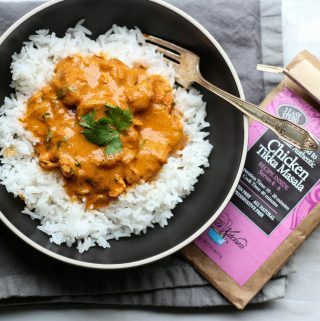 Trader Joe’s is finally bringing us some real food in addition to a whole bunch of snacks. 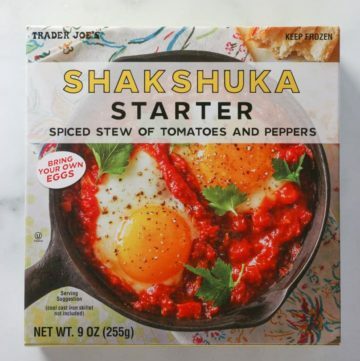 So if Trader Joe’s Shakshuka Starter is in any way unfamiliar to you, perhaps you are more familiar with a similar dish that can easily be made at home: eggs in purgatory. What’s the difference you ask? Here, the difference is spice. It’s not often that I don’t like something here. I’m not trying to be overly kind. I try to be objective on things. However, there are some items that hit my pantry and I need to call them what they are: basic. 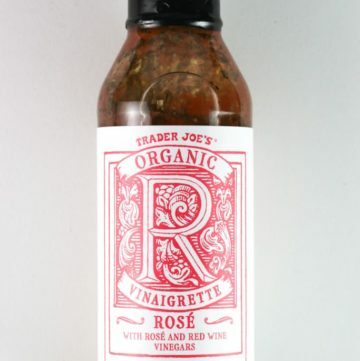 And Trader Joe’s Organic Rose Vinaigrette is just that. 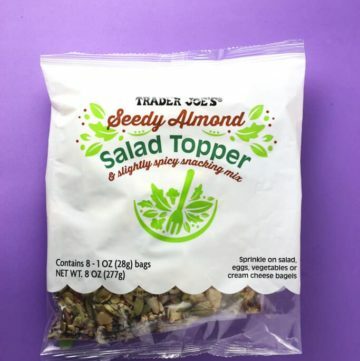 The pros: Trader Joe’s Seedy Almond Salad Topper is a new product that is geared towards snacking and salads. The cons: While I thought this would be a natural sequel to the hit Everything But the Bagel Seasoning, this was basically like a sophomore album slum. I love crab cakes. 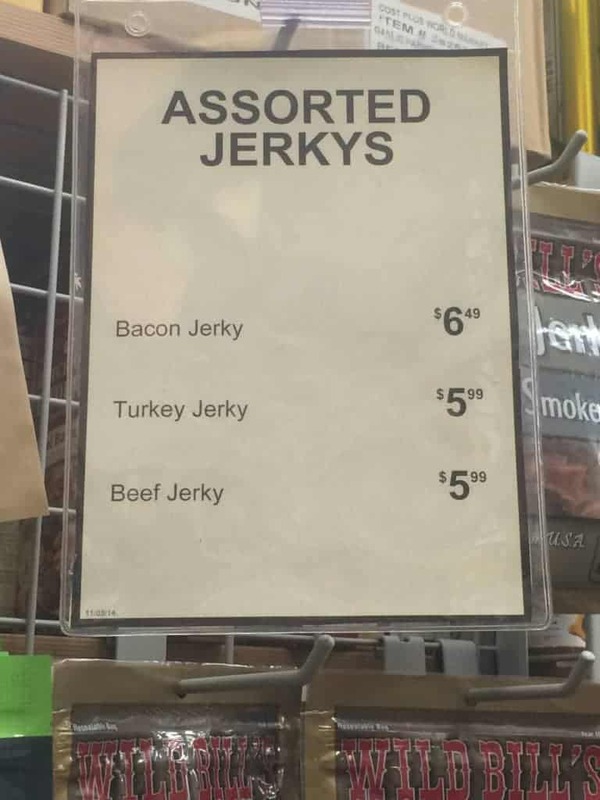 They are expensive whether you buy them at the store or order them out. 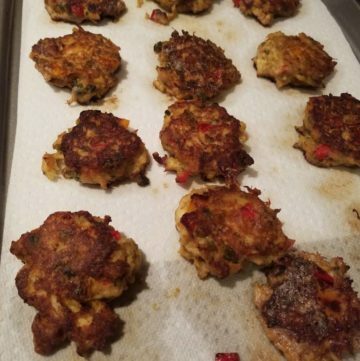 This is not your traditional Maryland style crab cake recipe. This is a very savory rendition that will allow you to add much flavor to canned crab, crab in the freezer case, or in the refrigerated case. I tend to use a lot of Penzey’s Spices. If you don’t have a location near you they take orders online. Their stuff is high quality and their stores are awesome. You can actually go into the store and sniff each and every spice they have. It’s also worth it to be on their mailing list. If you aren’t using Penzey’s, then by all means substitute what you can. I’ve included fresh and dry measurements so depending on what you have available so you can switch things out…. I recently went to Fig and Olive for dinner. The food was fantastic. 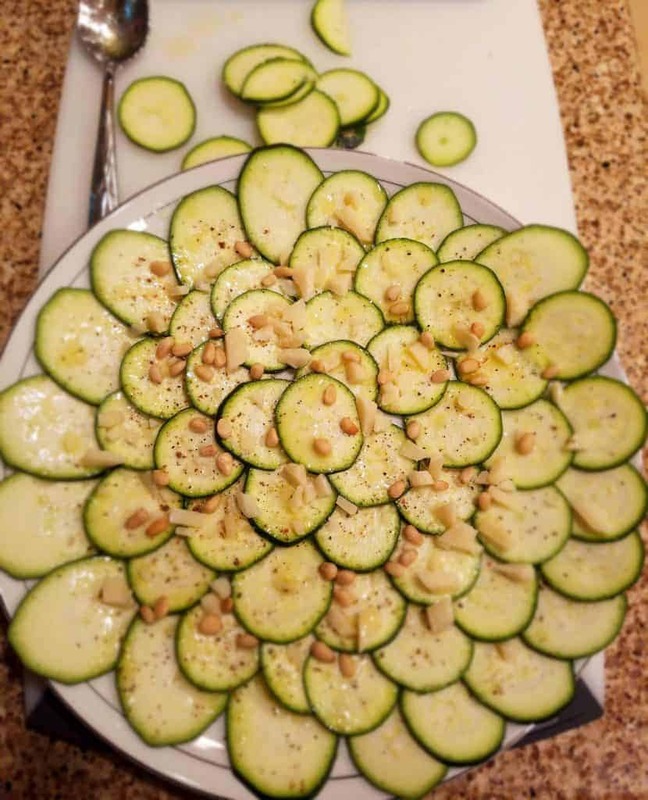 There was one item that took me by surprise when we went there: Zucchini Carpaccio. I split an appetizer and it’s something I would have ever had ordered in a million years. Priced at $12 it’s not something I’m going to run there and order on regularly. It’s something tasty, simple, with a good balance between acid, texture, salt, and pepper. On top of everything else, it’s vegetarian and relatively healthy. It’s uncooked and with thinly sliced zucchini you won’t miss it being cooked…. My sisters favorite restaurant of all things is IHOP. Why? The syrup. They offer syrups that many people do not keep at home. But all of those syrups (other than maple) can be easily made at home. 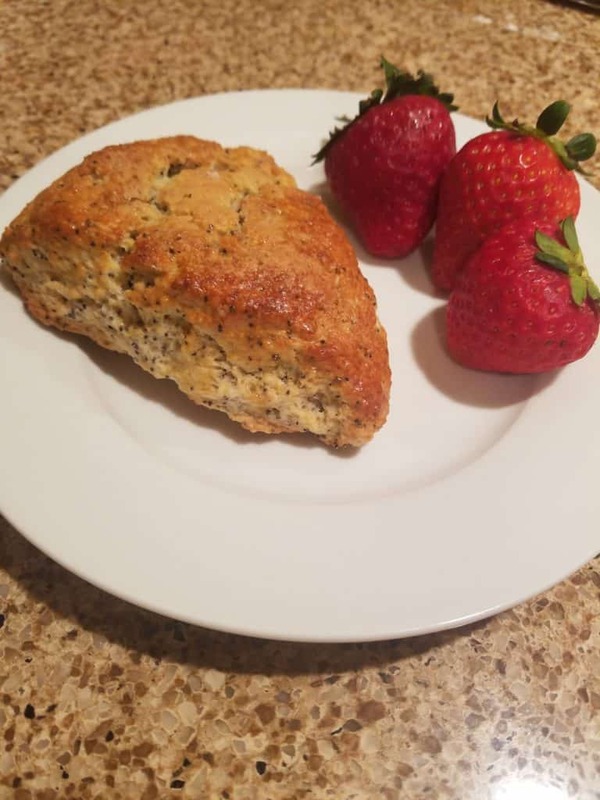 Here is a quick recipe for homemade raspberry that might compliment recipes like Overnight Yeasty Goodness Waffles or perhaps Trader Joe’s Chocolate Chip Waffles that deserve something special. Even pancakes or even a dessert would work with this as its a perfect balance between tart, sweet, and acidity. 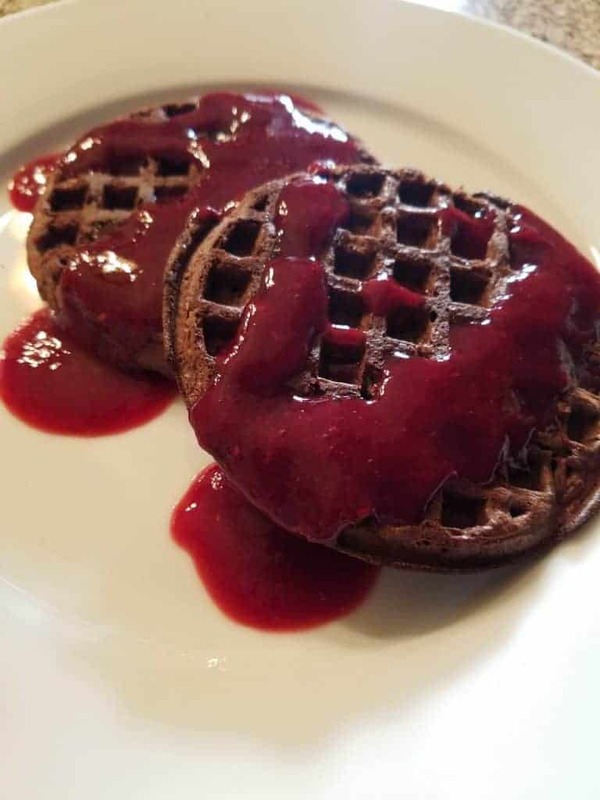 My Homemade Raspberry Pancake, Waffle, and Dessert Syrup is a recipe to make some special raspberry syrup at home and it doesn’t require a lot of fancy ingredients…. 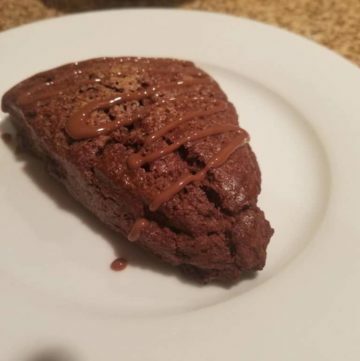 So you bought Trader Joe’s Umami Paste. Now for the next question: What the hell do you use this for? I wondered the same thing when I bought it. Out of the tube the primary flavor you’ll get is tomato paste. Within the tomato paste flavor you’ll get hints of parmesan cheese, olives, capers, garlic, mushroom powder, vinegar, and anchovy. There is a lot going on in this one little tube. The next obvious problem is that they don’t include any recipes, which they should have. It’s a product I’d like to see kept on the shelves as a permanent item. It should add a lot to anything with an existing tomato base to it. Where is the best place use it? 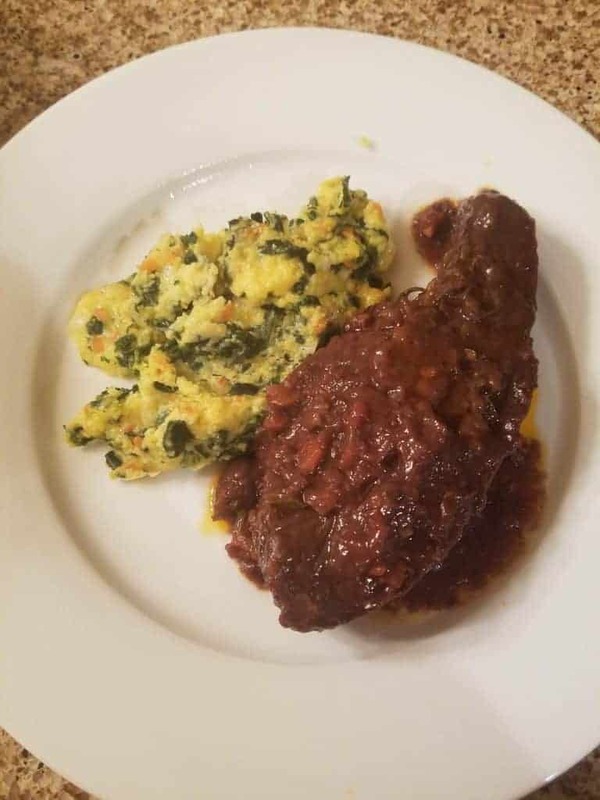 Here is my recipe for Red Wine Braised Short Ribs with Trader Joe’s Umami Paste…. Salad can be so boring and predictable. When I think of salad my mind goes in one of two directions: fruit or the leafy green stuff. Many fruit salads that I’ve had are just ok. Very few leave me refreshed or wanting much more. Especially the canned variety. 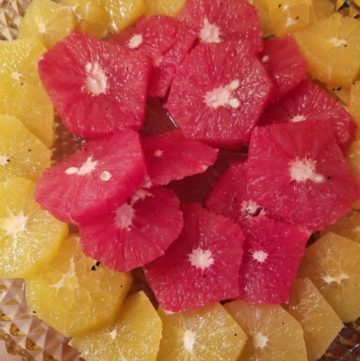 When I opened a recent copy of Food Network’s magazine I saw a recipe that looked easy and caught my eye, Citrus Vanilla Salad…. Need a quick appetizer or want a really filling snack? 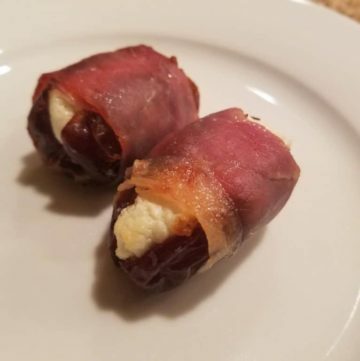 Dates Stuffed with Goat Cheese and Wrapped in Prosciutto is a great one. 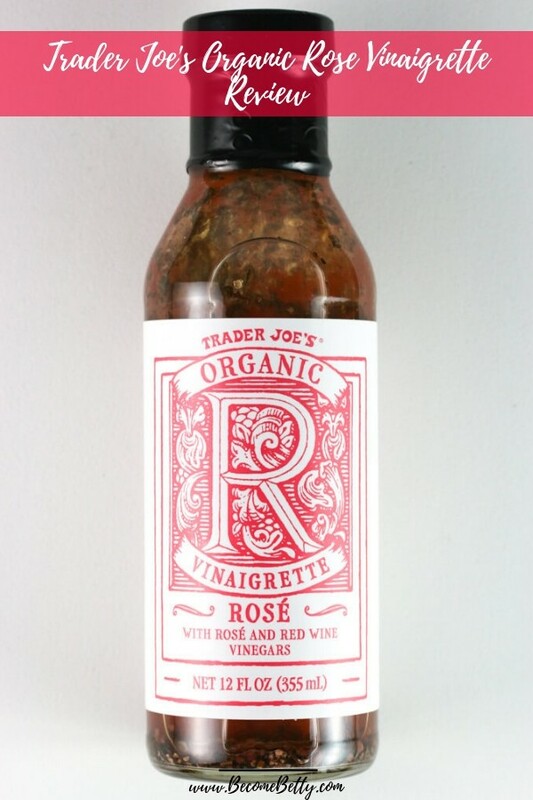 If you are at Trader Joe’s the ingredient list is short. If you only want to make one batch, then only use half the ingredient list. 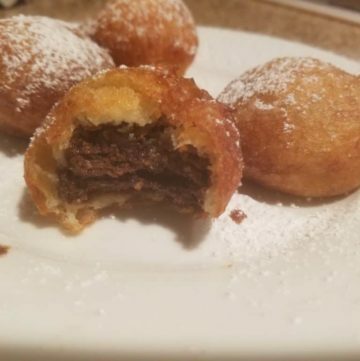 You’ll have dates left over…. Is there anything that says summer more than peaches? 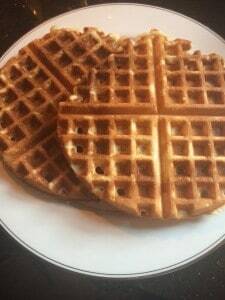 Wonderful on their own, they can be even better if you follow the recipe below. 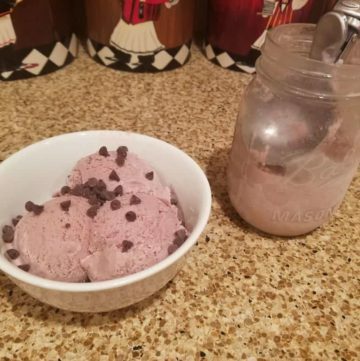 This recipe can be eaten alone or with something like ice cream. 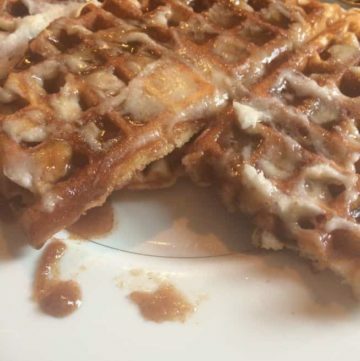 Or as a topping to waffles. Could this be enjoyed over pancakes? Yes indeed…. Perhaps, you just served bread with dinner. Or you still have half a loaf sitting around getting stale. Just waiting to become fuzzy or turn into a giant hockey puck. If it’s not fuzzy but not yet in its prime you face a cross roads. 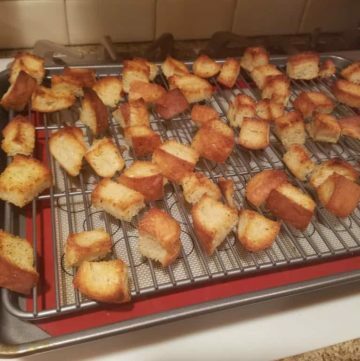 Do you: 1) Toss it 2) Make bread pudding out of it 3) Realize that croutons have a decent shelf life and are way tastier and will encourage people to eat a salad. 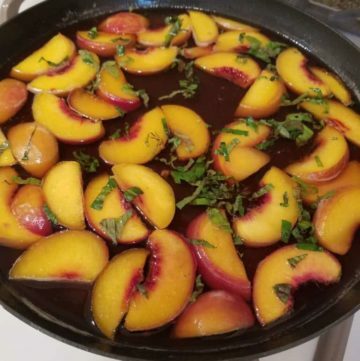 This recipe is very simple, quick, and requires little thought…. Chocolate for some people is a dietary requirement. This is both rich and light in one delicious recipe…. 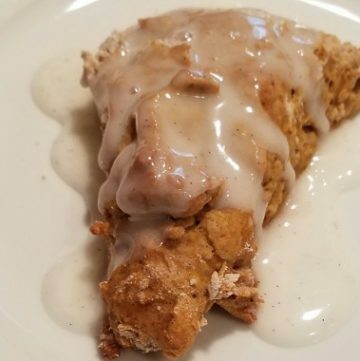 This recipe makes light as a feather scones. The poppy seeds give this a nice textural element. The lemon makes it refreshing. 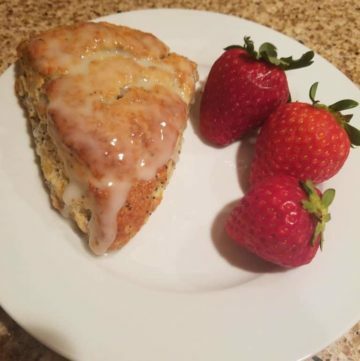 If making a glaze, wait for the scones to cool completely. Then add glaze. Summer. How we long for you, your longer days, just not the oppressive heat. What do many of us do to cool down? Eat ice cream. There is nothing more spectacular than soft serve ice cream, want that texture? Eat is straight from the ice cream machine. 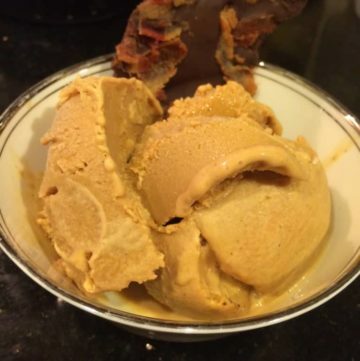 Want hard ice cream, just freeze it after the ice cream machine is done…. Consumerism. It’s brought us so many wonderful items. But it’s also made us lazy. Cars now tell us if someone is in our blind spot rather than the simple action of turning our heads. Not turning our heads often enough leads to major problems. It’s so much easier to buy a snack at work without looking. Or perhaps at the grocery store we pick up snacks to munch on for the workweek. We throw things in the cart, say its food and I need that…. Carbs. There are few things that bring joy to our lives like carbs. It’s instant gratification. Sometimes it’s later regret. Many diets tell us we should eliminate them when possible, if that’s the case, then we should cherish the carbs we are allowed to have. 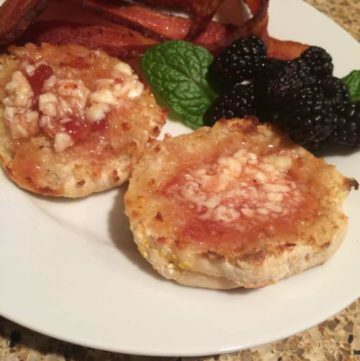 English muffins from the classic white and orange package. Yum. Breakfast, lunch or dinner (in pizza form of course) are my favorites no matter how old I get. I recently bought myself a book to which I treasure, Bouchon Bakery. If you are a native New Yorker or Californian, then this place is the stuff of myth and legend. They have a recipe in there for English muffins, but I would have to start a week in advance. Not going to happen. They can do their magic. I’m hungry now…. 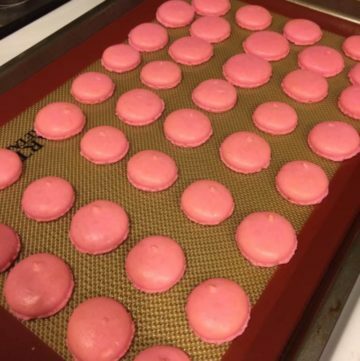 Macarons (noun) Deriving from the French word meaning “awesome intimidating slice of heaven cookie.” I’m sure some foodies out there will correct me. No, that isn’t actually what the word means, but it’s what it should mean. They are intimidating and notoriously fickle cookies to make. They are beautiful. They are expensive to buy. So why not make them? They are expensive to purchase, but not nearly as expensive to make. They will take practice. Even your cracked, broken “Ugly Bettys” will be worth while. Unpresentable, but tasty….